Richard Smith could get a retirement package of at least $18.4 million, even if he's found at fault in the hack that affected 143 million Americans. Two other high-ranking executives left previously in the wake of the hack, which exploited a software flaw that the company did not fix to expose Social Security numbers, birthdates and other personal data that provide the keys to identify theft. Smith, who had been CEO since 2005, will also leave as chairman. Equifax called his departure a retirement, but he will not receive his annual bonus and other potential retirement-related benefits until the company’s board concludes an independent review of the data breach. Even with the departures of three top executives, Equifax is facing several state and federal inquiries and a myriad of class-action lawsuits, including congressional investigations, queries by the Federal Trade Commission and the Consumer Financial Protection Bureau, and probes by several state attorneys general. On Tuesday, the city of San Francisco became the first municipality to sue Equifax for exposing its residents to identity theft. The state of Massachusetts sued Equifax last week. Although Wall Street analysts had previously applauded Equifax’s performance under Smith, he and his management team came under fire for lax security and their response to the breach. Confusion over the terms of credit-monitoring protection and jammed phone lines added to the public’s ire. The company’s stock has lost about a quarter of its value – a $4.4 billion setback. 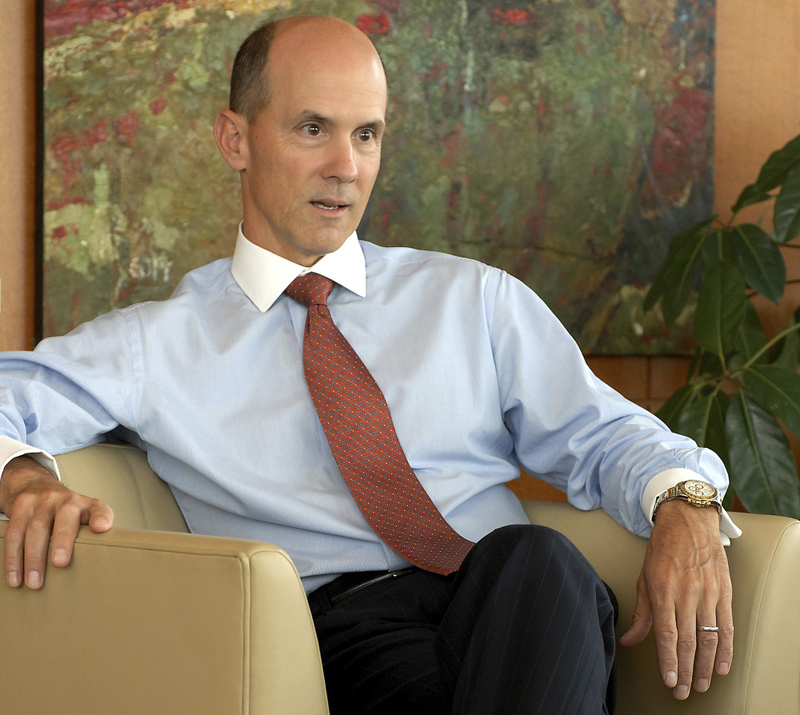 Equifax’s board clearly had to deal with Smith, not only as a public show of penance for the breach but also for the company’s bungling since informing consumers their identities are in danger of being stolen, said Bart Friedman, a lawyer specializing in corporate governance issues for Cahill Gordon and Reindel. Equifax tried to appease incensed lawmakers, consumers and investors last week by announcing the unceremonious retirement of its chief security officer and chief information officer, who were responsible for managing and protecting the company’s technology. But that wasn’t enough, with lawmakers drawing up bills that would impose sweeping reforms on Equifax and its two main rivals, Experian and TransUnion. Smith had been scheduled to appear at two congressional hearings next week that would likely have turned into a public lambasting. The House Energy and Commerce committee said in a tweet that it still plans to hold its hearing Oct. 3. A spokeswoman for the Senate Banking Committee said that panel’s Oct. 4 hearing remains scheduled. The data breach might not have happened if Equifax had responded promptly to a warning in March about a known security weakness in a piece of open-source software called Apache Struts. Even though a repair was released, Equifax did not immediately install it. Digital burglars used the crack in Equifax’s computer systems to break in from May 13 through July 30, according to the company’s accounting. Equifax said it did not fathom the breadth of information that had been stolen until shortly before it issued a public alert on Sept. 7, triggering the wave of withering condemnations that led to Smith’s departure. The jobs of other Equifax executives could be in jeopardy. The three executives who sold shares, including Equifax’s chief financial officer, are under scrutiny. In a hearing Tuesday, the chairman of the Securities and Exchange Commission, Jay Clayton, refused to comment when asked by lawmakers if executives at Equifax engaged in insider trading when they sold their shares. He did not confirm or deny that the SEC is investigating the issue.